FORT LAUDERDALE, Fla. - Florida's ongoing recount battle heads back to a courtroom Wednesday. Lawyers for Democrats will ask a federal judge to set aside the state law mandating that mailed-in votes be thrown out if the signature on the envelope doesn't match the signature on file with election authorities. This is the latest skirmish in Florida's legally mandated vote recount, which is drawing national attention, including a stream of tweets from President Donald Trump. Trump on Tuesday called on Democratic Sen. Bill Nelson to admit that he lost his re-election bid to Republican Gov. Rick Scott. Trump implied, again without evidence, that officials in two pivotal South Florida counties are trying to steal the election. Still, the state elections department and the Florida Department of Law Enforcement, both run by Republican appointees, have said they have seen no evidence of voter fraud. A Broward County judge challenged anyone who has evidence of fraud to file a report. But this Florida recount has been personal for Trump. He aggressively campaigned in the state, putting his finger on the scales of the Republican gubernatorial primary this summer by endorsing former Rep. Ron DeSantis for governor. After Election Day, Trump's aides pointed to the GOP's seeming success in the state as a validation that the president's path to re-election remained clear -- a narrative that has grown hazier as the outcomes have become less certain. "It's just plain wrong. It's un-American," Schumer said. "If he really wants an honest and fair election, President Trump will stop bullying, harassing and lying about the vote in Florida, and let the election proceed without the heavy hand of the president tipping the scale of justice." Elias argued that there's no need to rush, since the winner of the Nelson-Scott race won't be sworn into office until January. 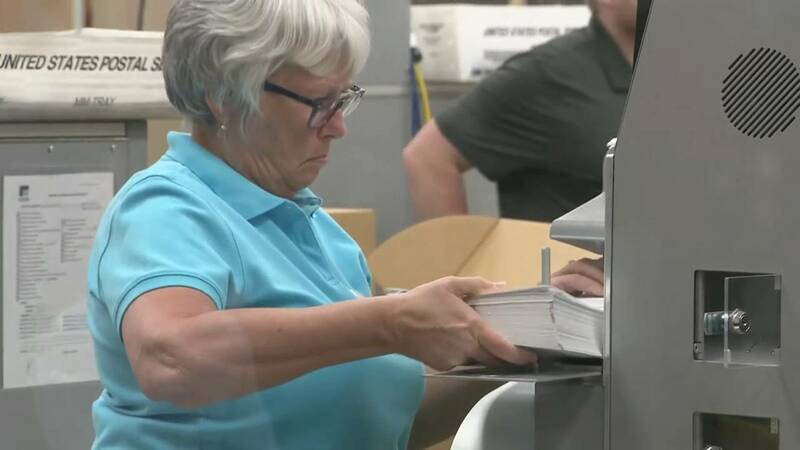 Meanwhile, Palm Beach County Supervisor of Elections Susan Bucher said the county's 11-year-old tallying machines aren't fast enough to complete the recount by Thursday. The county is doing the Senate race first and will then do the governor's race. If the deadline is not met in a race, the results it reported Saturday will stand.